Yes, you read that right. Although it won’t exactly be a case of being able to snap up your favorite strains off the shelf, here’s how it will work…. Loblaw, the largest supermarket chain in Canada, has obtained the licensing necessary to legally sell recreational cannabis in 10 of their stores found in Newfoundland and Labrador. Adults will have to ask for the stuff over the counter. The news was announced by Cannabis NL, an agency of the Newfoundland Labrador Liquor Corp. (NLC), who recently released the list of qualified retailers who were chosen to participate in the next step of the process. “It would be available behind the counter, in small, existing tobacco shops, adjacent but separate to our Dominion grocery stores,” Catherine Thomas told the Financial Post. Dominion is the name of their locations in Newfoundland. Even if they can’t offer the same to other Canadian provinces as of now, there is the potential for Loblaw to enjoy massive earnings from the legal cannabis industry should things go as planned in Newfoundland. In 2016, Loblaw also applied to legally distribute medical cannabis in Shoppers Drug Mart, which is their drug store chain. Other qualified applicants included Canopy Growth, Tobin’s Convenience, and Healthy Vibe. “This has nothing to do with Shoppers Drug Mart or our application to distribute medical cannabis, which remains our focus,” Thomas told the Financial Post. Last year, the Newfoundland and Labrador government released details detailing the cannabis legalization framework for the province. It would allow cannabis to be sold in private stores, but the NLC will oversee licensing and regulation. In some cases, the NLC can sell cannabis products if there are no other alternatives in the area. Chris Mitchelmore, Innovation Minister, also said that it would be possible to purchase it online for people located in isolated areas. 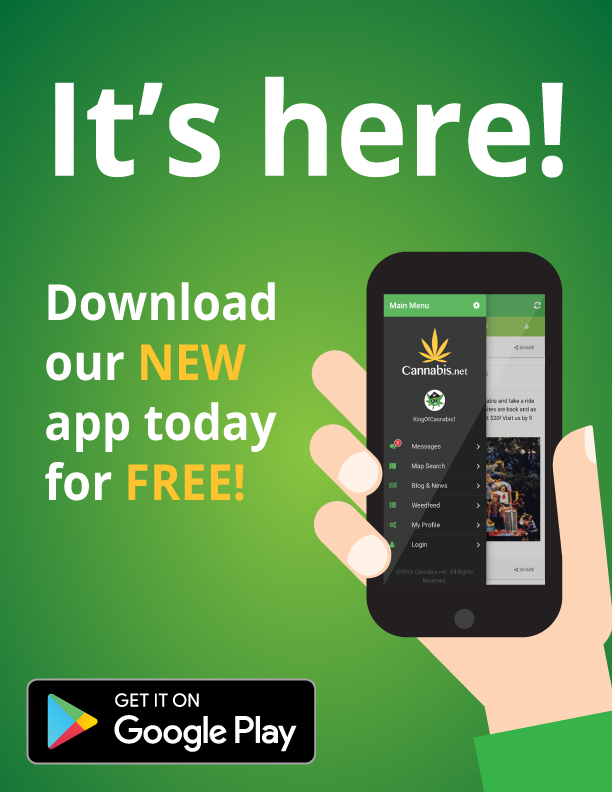 The legal age to purchase and consume cannabis has been set at 19, but those younger than 19 caught possessing cannabis will be prohibited, and subject to a fine instead of criminal charges. However, Mitchelmore warned against the notion that cannabis legalization may bring about economic profits for the province due to the costs that will be incurred by implementation. “Having said that, it will be much better that any money generated goes to government rather than the criminals,” he added. Swiss supermarket chain Lidl has a new exciting product: locally grown cannabis. Lidl will soon be selling tow different kinds of products derived from hemp flowers as an alternative to tobacco. These are a 1.5g box made from indoor grown plants, and a 3g bag made from greenhouse-grown flowers. These will be found right beside the cigars and cigarettes, and they cost twice the amount of tobacco rollies. The products were supplied by The Botanicals, a startup that grew the hemp flowers in northeastern Switzerland. The catch? These products won’t get you high, since they are meant to be high in CBD in order to deliver a relaxing effect while reducing inflammation, as opposed to something that is intoxicating. In 2011, Switzerland modified the laws to allow people 18 and up to legally purchase cannabis as long as it doesn’t contain more than 1% THC, which is the primary psychoactive cannabinoid. Coop, another Swiss supermarket chain, has already begun selling cannabis cigarettes. 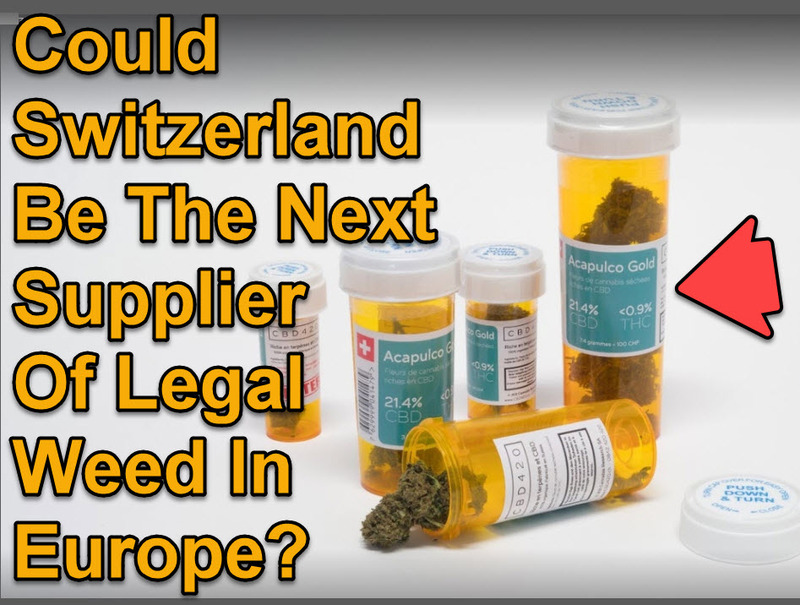 Last year, a Switzerland-based business announced intentions of providing legal weed for all of Europe. 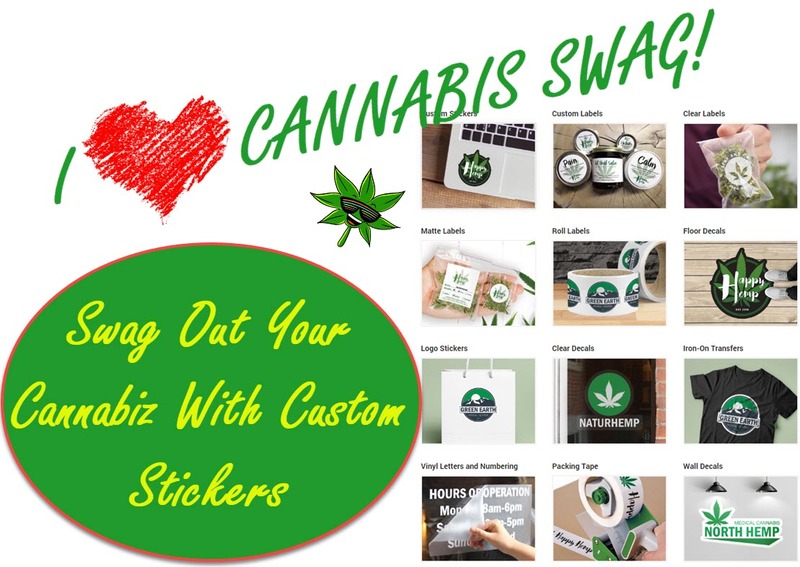 The business, called CBD420, is owned by a young former banker by the name of Jonas Duclos. CBD420 is already legal in Switzerland, and Blue Dream is one of their most popular products; hemp with 0.2% THC but with potent medicinal benefits. CBD420 products are already sold in over a thousand tobacco shops across the country, since it meets the less-than-1% THC requirement. But before you make plans of traveling to Switzerland, remember that you’ll have to smoke a ton of the stuff to even get high! 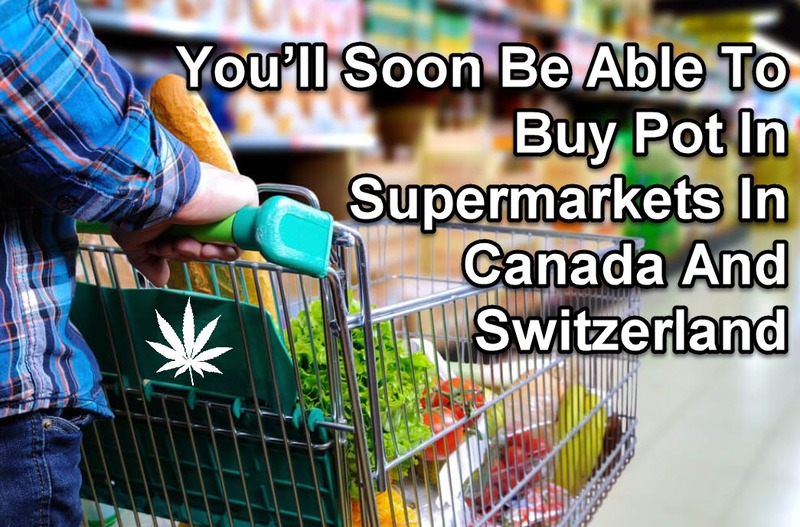 You’ll Soon Be Able To Buy Cannabis In Supermarkets In Canada And Switzerland from CannabisNet on Vimeo. SWISS WEED COULD BE ALL OVER EUROPE SOON, CLICK HERE. 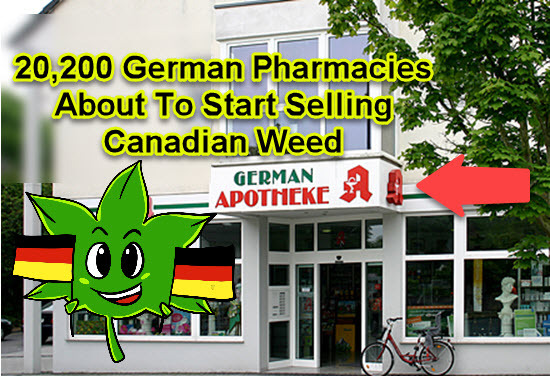 GERMANY PHARMACIES SELL MEDICAL MARIJUANA, CLICK HERE. 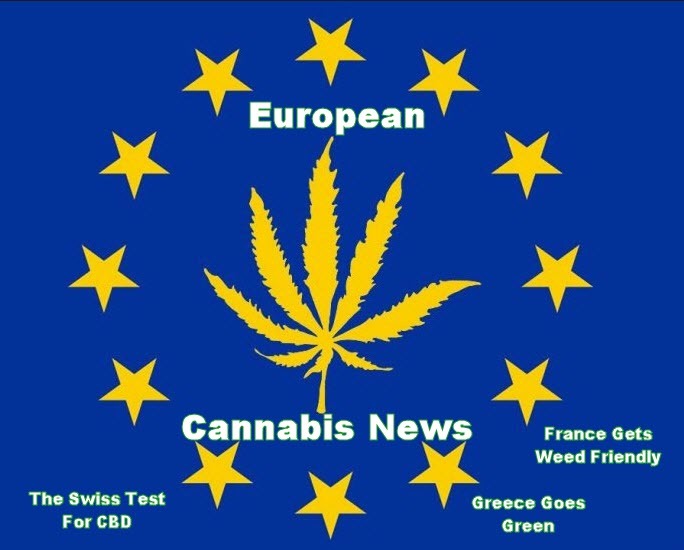 The Swiss police have introduced a rapid CBD test to check if the cannabis being consumed publicly in the canton, as well as in the cities of Zurich and Winterthur, is legal. 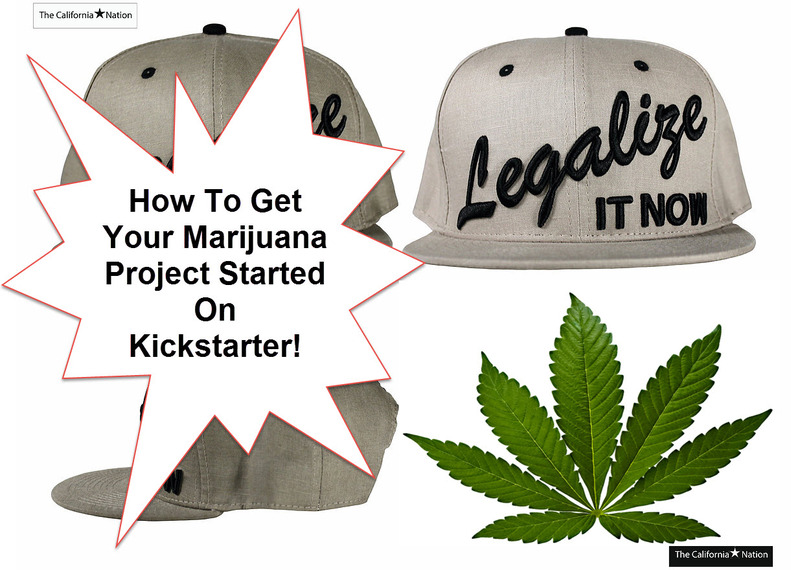 How To Use Kickstarter For Your Weed Idea?